I've been meaning to do this design for absolutely ages. It's one of those that looked OK on paper but every time I went to do it something seemed a bit off. Now I've actually done it I kind of see why I was reluctant as it's not the greatest. It's based on a limited edition polish from Barry M a couple of years ago. The colour is still going strong - it's not gloopy at all - but I'm not convinced it's the shade for me. 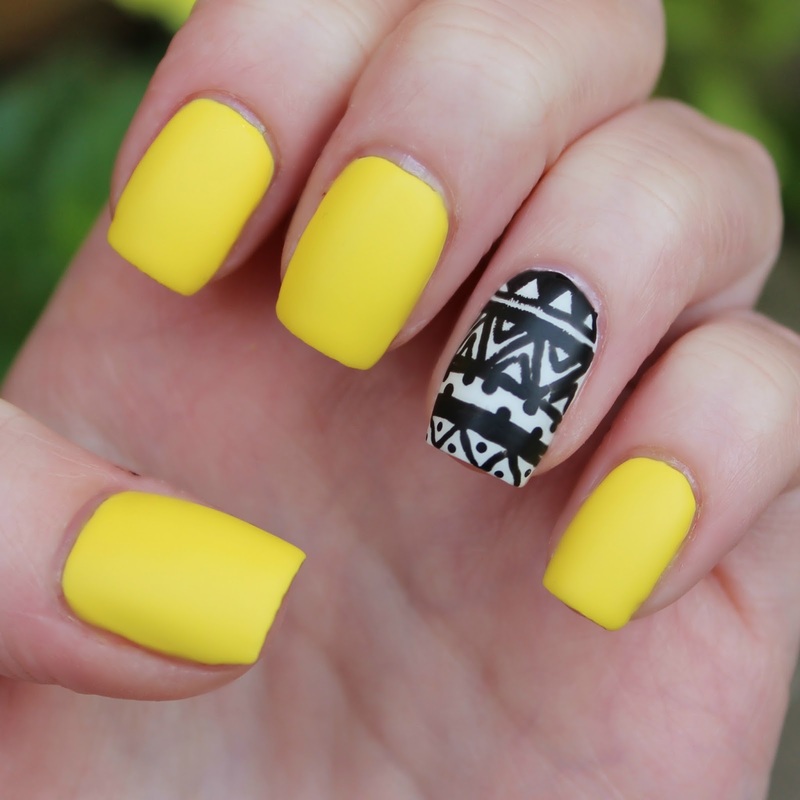 Although I'm not convinced by the yellow shade the design is super easy to create. I used the yellow (which annoyingly has no name) on all of my nails except the accent. On this one I used a base of Barry M's Cotton* and drew the design on with my black Barry M nail art pen. 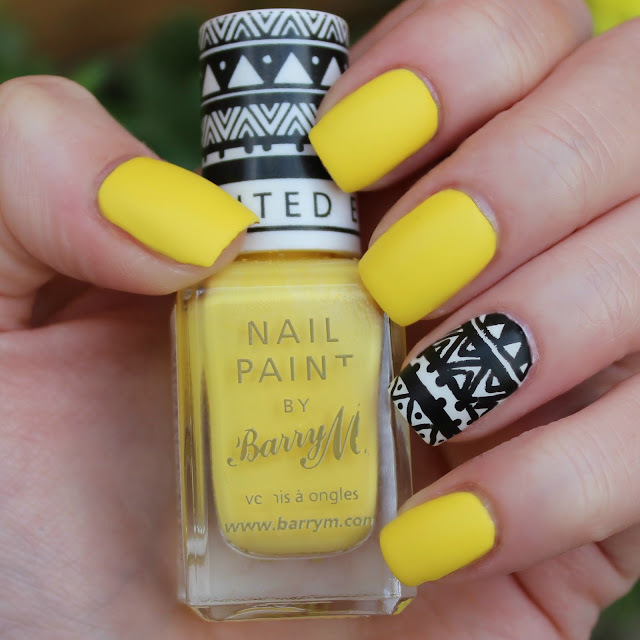 I wish I had some thin nail art pens that I could control; I love the Barry M one but it's a tad too thick for intricate designs. Hopefully the good weather will stick around so that I get in the mood for some more summery designs. I'm not quite ready to give them up yet!